With a powerful Generac OHV horizontal shaft engine and professional-grade triplex pump, this 3600PSI power washer is just right for cleaning around the house, at work, or on the farm. CONCRETE. SIDING. VEHICLES. AND MUCH MORE. Whether you're washing the driveway or prepping for a painting job, you need the right tool. Enter Generac pressure washers. Our customer research led us to engineer our pressure washers from the ground up, to meet your specific needs. If you wish to share feedback with us about product selection, pricing, ordering, delivery, or other customer service issues, please do not submit this feedback through a product review. Instead, contact us directly. Maximize your investment and maintain your Generac pressure washer with a variety of accessories. Our ergonomic design ensures comfort and stability while using your pressure washer. Stainless steel lances and replacement nozzle tip kits available with quick connect design. 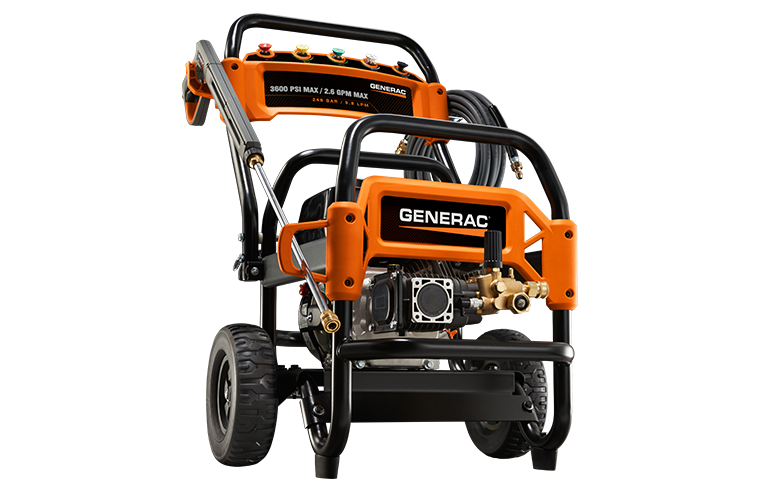 Generac offers a 1/4 inch, 30 foot replacement hose specifically designed for use with pressure washers.